Samsung keeps churning out smartphones as if there's no tomorrow, stuffing the channels with sometimes marginally different handsets six months after it introduced the previous crop. The Samsung Galaxy Y is not an exception to this strategy – about half a year since the company launched something like the Samsung Galaxy Mini, for instance, it announced the Galaxy Y, which, according to the new naming scheme, should be an affordable handset for teens or emerging markets. 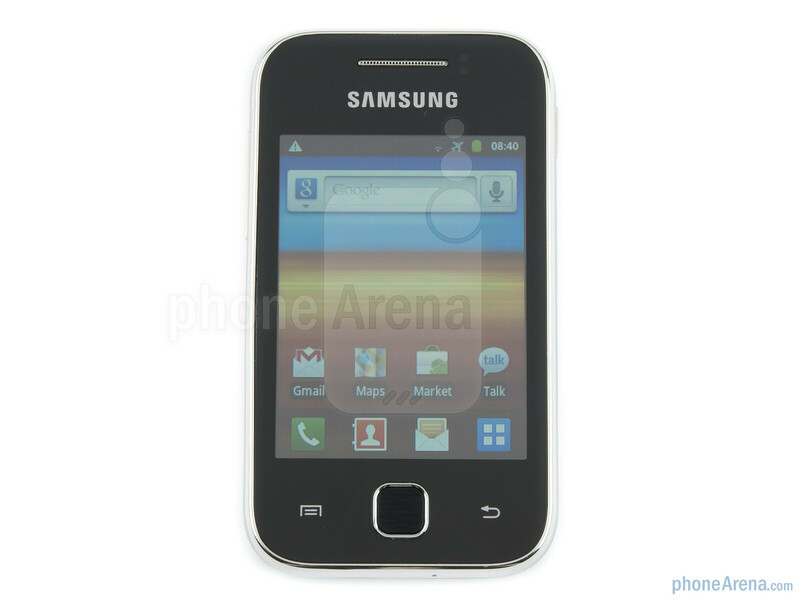 Some of its specs are marginally better than the Galaxy Mini, like a slightly faster processor and less weight, but the camera is 2MP, for example, against the Galaxy Mini's 3MP, while the screen resolution is the same (QVGA). The biggest improvement seems to be the Android OS version – we are running Gingerbread on the Galaxy Y, but this is not a huge advantage, as software can always be updated. 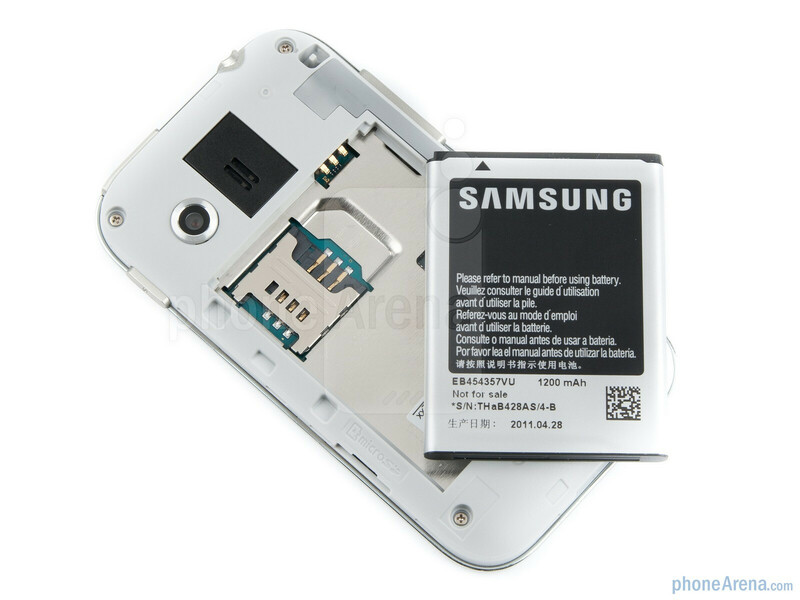 The outer appearance of the Samsung Galaxy Y is differentiated from the sea of black plastic rectangles or ovals with... a silvery back cover and chrome-like sides. Alright, one for the design team here, since it found a cheap way to break from the mould. Moreover, the battery cover is dotted like snake skin, which makes the phone easier to hold for our slippery, shaking hands. 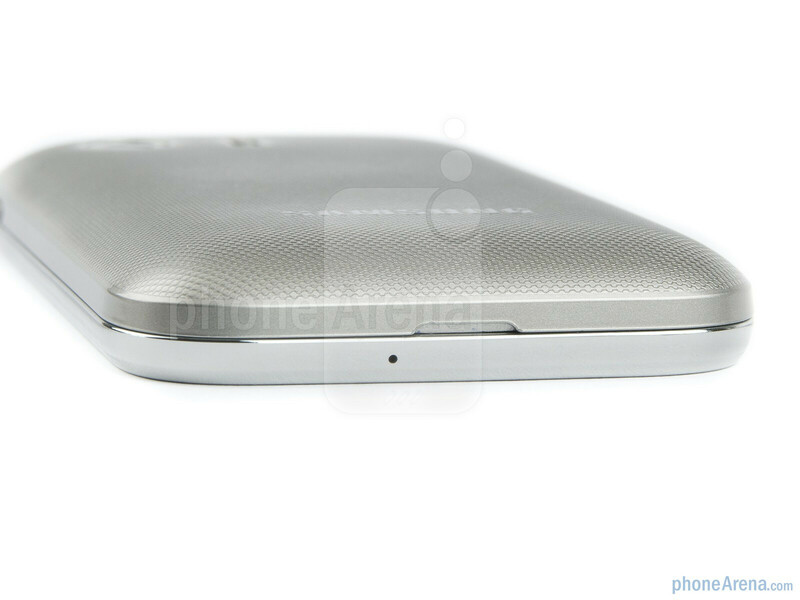 You can compare the Samsung Galaxy Y with many other phones using our Size Visualization Tool. The basic 3” LCD display has the pretty appalling 240x320 pixels of resolution, but the colors are fairly bright. We know it's an entry level Android from Samsung, but a slightly larger screen would have made a big difference, or a slightly better resolution than the previous low-ends even. Overall, the Samsung Galaxy Y chassis looks and feels like the manufacturer is skimping on many features, including telling design, in order to stay mass market and affordable, but the two-toned shell is somewhat of a compensation. plz! compare it with ace ; on basis of value for money! 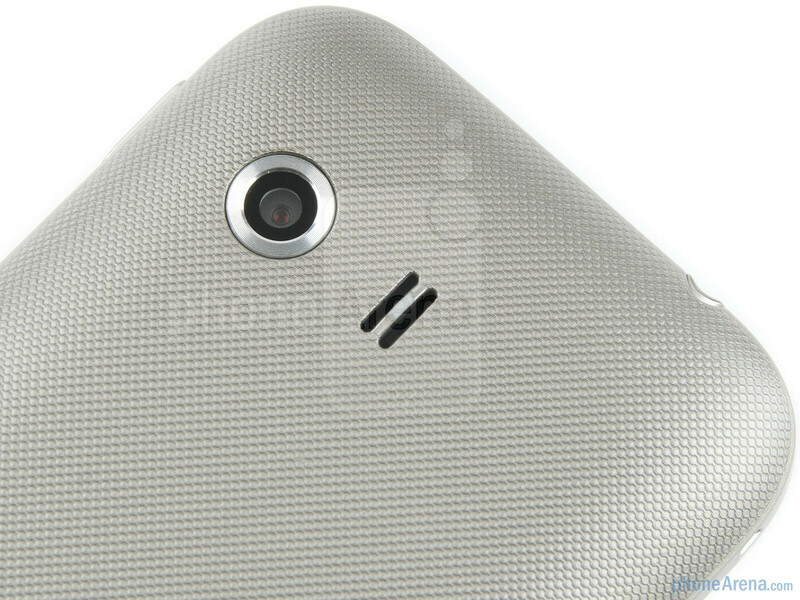 This phone's no way near to ACE, which's nearly twice the price tag of this phone. Samsung Galaxy Y – 3-inch LCD, 320 x 240 resolution Samsung Galaxy Y – 832MHz processor Samsung Galaxy Y – 160MB internal storage, microSD up to 32GB Samsung Galaxy Y – Android 2.3 Samsung Galaxy Y – 2-megapixel Samsung Galaxy Y – 104 x 58 x 11.5 mm, 97.5 grams this phone can be best compared with GALAXY FIT! Compared to Galaxy Y, ACE carries, Huge screen (320 x 480 pixels, 3.5 inches) , 5mpx cam with flash, OS : Android OS, v2.2 (Froyo), upgradable to v2.3 CPU : 800 MHz ARM 11 processor, Adreno 200 GPU, Qualcomm MSM7227 chipset Have seen people complaining about Galaxy ACE's battery performance, which drains very quickly when multi-tasking and gaming. 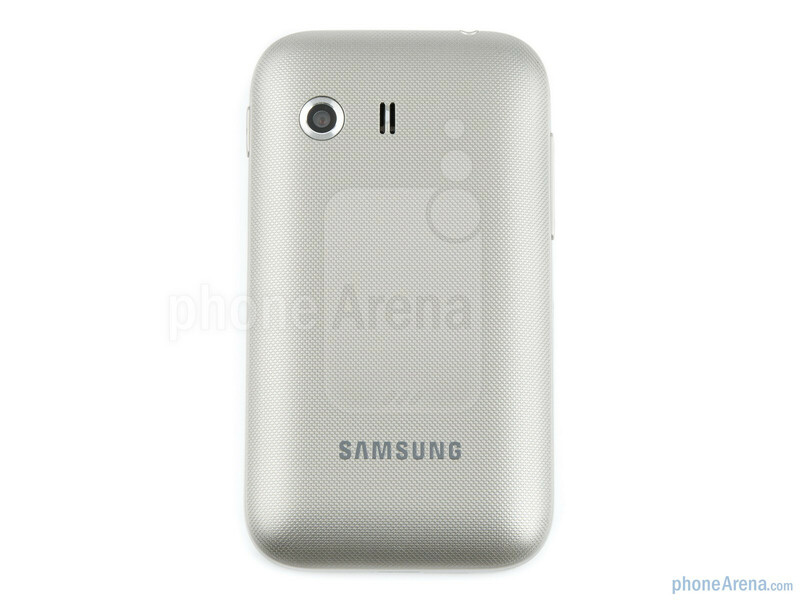 How Can I Pre-Order Samsung Galaxy Y or Y Pro? Why Samsung has not included a front camera for video calling? Hard to find affordable android gingerbread with video calling. Dear, Androind doesnt support video call over 3G, you can make calls by Voip only.. So think about it. If you want a front facing camera in low end andro mobile, then go for Micromax A70. 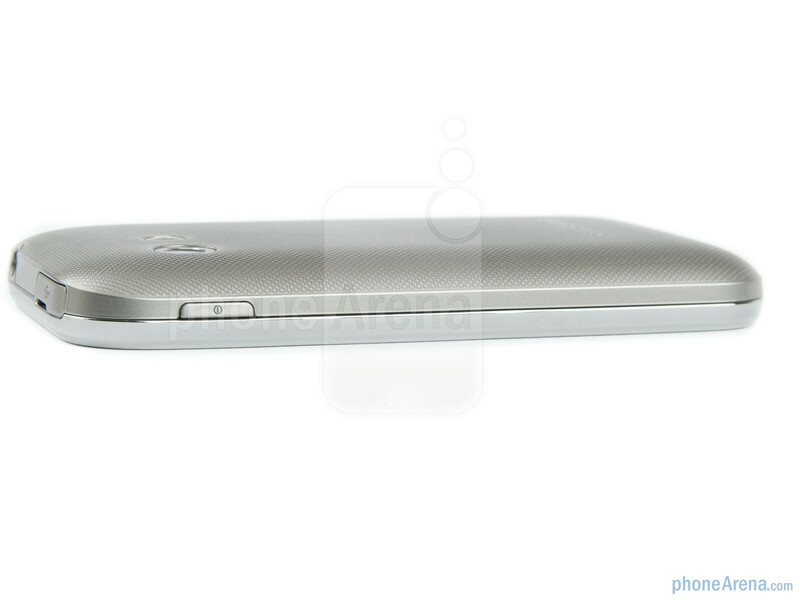 what is problem with galaxy y? @ a price range of 7K, you cant expect more than this. doesn't it have light in its touch sesitive buttons??? HOW LARGE IS THE TOUCHSCREEN.AND HOW LARGE IS THE WHOLE PHONE ALTOGETHER. I VISITED LIKE 20 WEBSITES TRYING TO FIND THAT OUT!! BUT I STILL DONT KNOW! IS ANY ONE SMART ENOUGH TO FIND OUT? Well,I can't just understand the rating criteria of PhoneArena as you people have given this phone 7 and the Nokia 603 6.5 why???? While comparing the specs Nokia 603 320x640 screen resolution 210 ppi 3.5" IPS LCD Clear black display NFC,Tv-out,Usb on the go,Ambient light sensor,5mp camera and HD video recording. On the other hand this small handset has just got 3" display,180 ppi,240x320 screen resolution and many other downsides And with the Carla update Nokia 603 will get Html 5 support,Dolby digital Surround sound and better NFC integeration. Now can anyone justifies the point scoring. 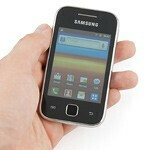 Samsung Galaxy Y is a cool phone @ Rs. 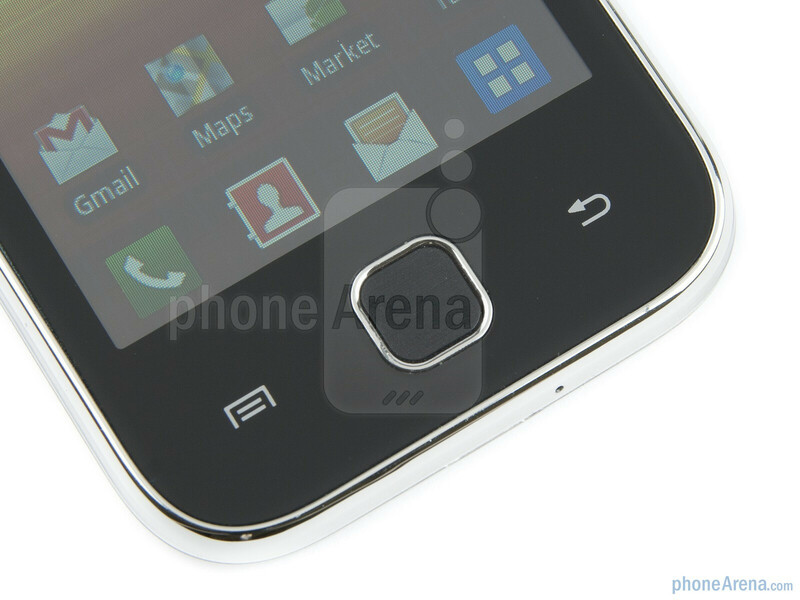 7,750/- at shopbychoice.com having the an impressive features: o	Android v2.3 operating system. 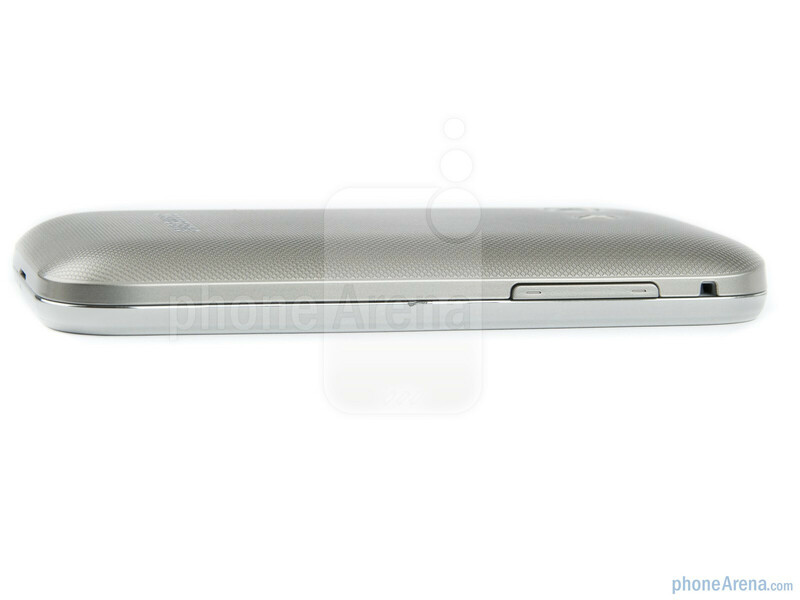 o	3.0 inch capacitive touchscreen display. 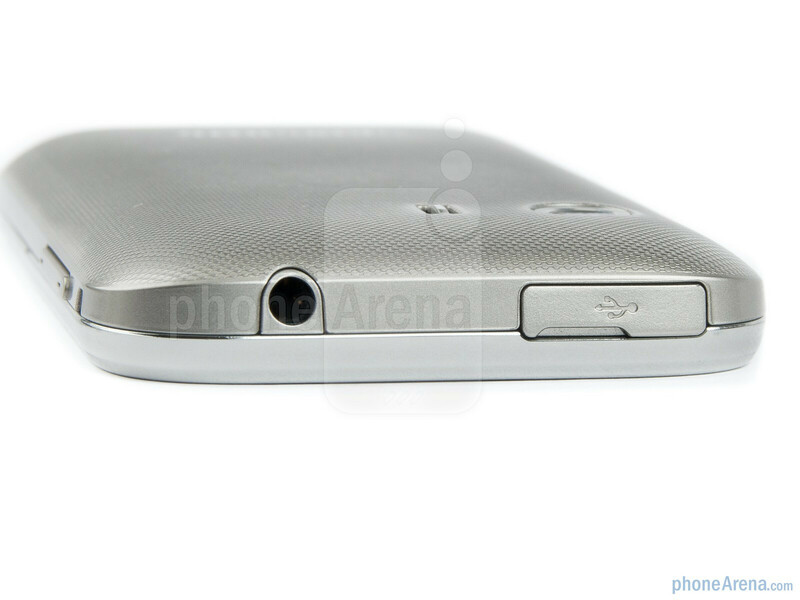 o	2.0 MP camera with panorama smile shot features. o	32 gigabytes using micro SD card.